It’s no secret that Mother’s day is becoming increasingly commercialised and seriously lacking in sentiment. But do you know the real reason for Mother’s Day’s existence? Here’s the quick history they don’t teach you in school and ideas for how you should be celebrating Mother’s Day. It all began with Anna Jarvis, a woman from Philadelphia, a dedicated daughter who devoted her life to the remembrance of her Mother with the founding vision of ‘Mother’s Day’. Her lengthily campaigns began as early as 1907! On May 10 1908 the first official Mother’s Day was held in Philadelphia celebrated with church-goings and family dinners. Anna continued to urge sons and daughters to visit their Mother on Mother’s day or at the very least write home. She quoted “live this day as your mother would have you live it”. Fast forward 60 odd years and Anna Jarvis is long forgotten and the world is now spending $18.1 billion a year on Mother’s Day gifts. It’s no wonder we have forgotten the true meaning of Mother’s Day as it is become a creation of the commercial world. We are made to feel guilty about buying cheap gifts for our Mothers.There is no need to feel guilty, Mother’s Day is simply a day to appreciate or remember your mother. Expensive gifts may not be appreciated as much as you would think. Your Mum has been around long enough to know the effort put into last minute shopping trips for forgotten gifts. Material items hold little value to her; she will cherish the effort you put in.As the cliche goes, “it’s the thought that counts”, as thoughts take preparation and effort. Examples of thoughtful ideas include, preparing for Mother’s Day a few weeks in advance. Contact your siblings, your dad or anyone else who loves your Mum and make a plan that involves everyone. After all family is the most important thing to Mothers. Do not buy into modern Mother’s Day conventions; every Mum is different, so customise your Mother’s Day so that it’s special for her. 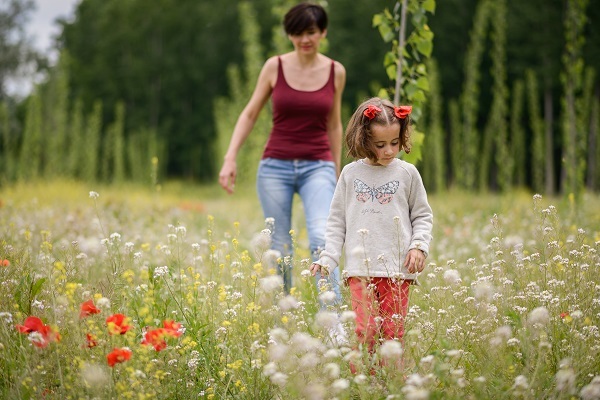 For example if your mum loves the outdoors, plan a nice scenic walk and a picnic. Make your Mum’s favourite meal instead of taking her out to expensive restaurants! Mother’s Day is different for everyone whether you celebrate with your Mother, Step Mother, Mother-in law or honour the memory of your Mum. Remember, as Anna said, “live this day as your mother would have you live it”.